The big, beautiful and bright yellow sunflowers at Maria's Field of Hope bloomed a month early this year. The seeds were planted for the last time in the field's Avon location in June. The field will move locations next year as a result of a nearby development. The field started with the planting of seeds in 2014 and has turned into a sea of sunflowers that have been captured on social media countless times. The purpose of the field is to bring awareness to childhood cancer. 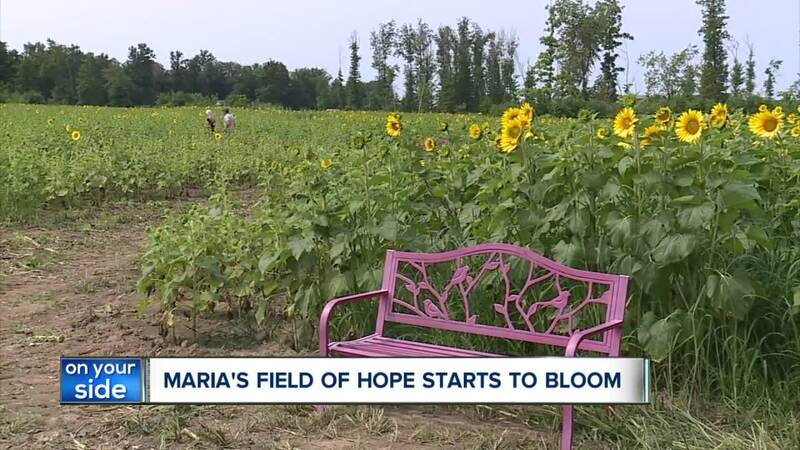 The field was started by the McNamara family who lost their 7-year-old daughter Maria after she was diagnosed with a rare and aggressive tumor called diffused intrinsic pontine glioma. If you want to visit the sunflowers as they bloom, you can check out the field located at 34925 Chester Road in Avon.